The Koch brothers’ network of libertarian organizations — including the LIBRE Initiative, Freedom Partners, and Americans for Prosperity — have sent a letter to Congress asking that an amnesty deal is passed before the new year when Democrats will take the majority in the House. The deal the Koch brothers are asking for is to tie a small portion of border wall funding to an amnesty for up to 3.5 million illegal aliens who are enrolled and eligible for the DACA program. As Breitbart News reported, since the midterm elections earlier this month, the Koch brothers have been relentlessly advocating for the GOP to pass a DACA amnesty plan and their agenda of prison reform that will reduce mandatory minimum sentences and end mandatory life sentences for three-time, repeat felons. 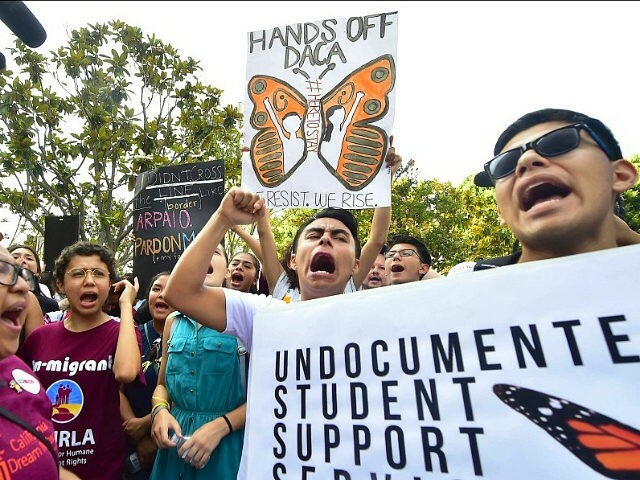 Pro-American immigration reformers warned last week that the GOP, Democrats, political donor class, big business interest groups, and the open borders lobby would attempt to sneak a stealth DACA amnesty bill through Congress before the new year.